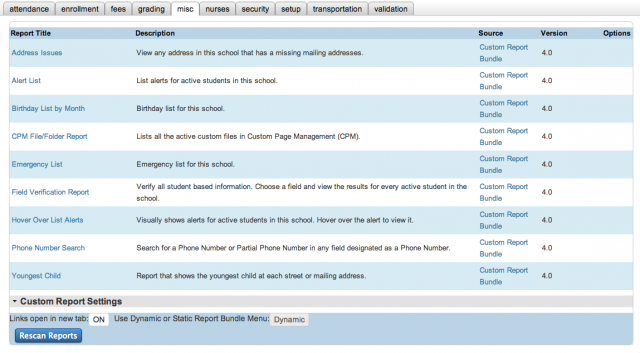 This plugin will add the scheduling reports to the custom reports bundle base. Note: the base plugin will need to be installed before you will see these reports automatically appear. Student course request had 2 issues. The demographic section wouldn't print due to a PowerSchool default stylesheet. That has been overridden so it now prints. The sort order was not working properly. It now sorts as requested. This plugin will add the log reports to the custom reports bundle base. Note: the base plugin will need to be installed before you will see these reports automatically appear. Fixed current selection button on Log Entry Search. Made change recommended by Renee Bailey for the Student Discipline Reports. 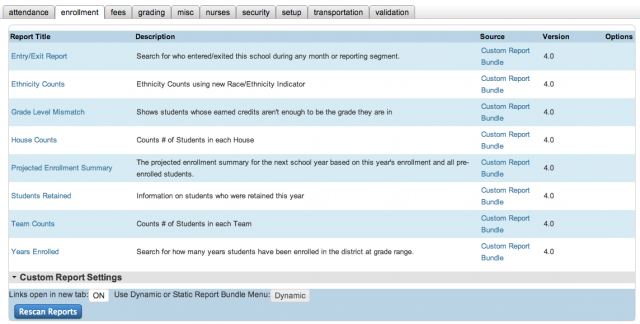 This plugin will add the enrollment reports to the custom reports bundle base. 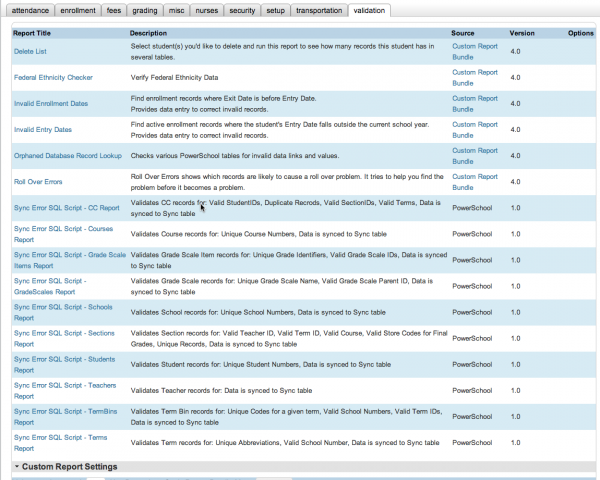 Note: the base plugin will need to be installed before you will see these reports automatically appear. Fixed issue with projected enrollments not showing all grade levels in some situations.